Two separate studies recently examined new advances in understanding how Health Outcomes and Quality of Life for Hemodialysis (HD) and Peritoneal Dialysis (PD) patients may be greatly improved. Though different in approach, both sets of findings are enlightening and can assist an extended and improved life. Recommended Reading:Are Survival Rates for Dialysis Patients Considerably Improving? Hemodialysis (HD): The Vanderbilt University Medical Center review found that Health Outcomes for Hemodialysis (HD) patients may be improved by achieving longer or more frequent treatment times, lower ultrafiltration rates (method for measuring vascular access flow rates during hemodialysis), improving nutritional status, and individualizing dialysate composition (fluid used to remove waste material from the blood and to keep useful material from leaving the blood). The review also discussed the controversy related to timing of dialysis initiation. The researcher's findings suggest that longer dialysis treatment times (particularly nocturnal dialysis) and more frequent dialysis, improved patients' length as well as its quality of life. Recent evidence further indicates that lower ultrafiltration rates and more consistent achievement of "Dry Weight" may help reduce heart damage by minimizing fluid overload that occurs in the majority of patients who receive conventional hemodialysis 3-5 h, 3 times a week. Other aspects of the dialysis procedure such as individualizing dialysate composition may also minimize cardiovascular risk. Several studies have also highlighted the benefits of oral nutritional supplementation during dialysis. Peritoneal Dialysis (PD): Currently, of the 250,000 PD patients only one in ten survives beyond 10 years and for each one-year increase in the patient's age, the risk of death increases by 4%. People on PD with diabetes have a 30% increased risk of death. Clinicians and scientists from Keele and Cardiff universities have published data from a landmark study that explains why survival in patients on peritoneal dialysis is low. Published very recently in the Journal of the American Society of Nephrology, researchers discovered that inflammation in the body and in the peritoneal cavity (where dialysis is performed) are a separate process, which has implications for both the ability to perform dialysis and patient survival. In effect, systemic (whole body) inflammation controls the survival whilst peritoneal inflammation controls membrane survival. The key goal of the study was to "improve survival and improve quality of life" for individuals with Chronic Kidney Disease (CKD) on PD. Professor Simon Davies, lead investigator from Keele University, said: "We will now be able to target inflammation to improve survival and recovery." This study for the first time characterized inflammation in PD patients and linked it directly to patient outcomes. The data will enable patients to monitor inflammation and bring concerns to their Nephrologist's attention who can better target treatment where it is needed, thereby increasing effectiveness of the PD treatment, improving the quality of life for those on PD and reducing treatment failure. Summary: Greater treatment times per week with slower ultrafiltration rates, consistent attainment of "Dry Weight", individualized dialysate prescriptions, and administration of oral nutritional supplements during dialysis are likely to reduce hospitalizations and improve survival in people who are on HD. While those on PD should monitor inflammation and bring it to the attention of their Nephrologist who should then determine if it is inflammation in the body or in the peritoneal cavity which will require different treatment methods. KidneyBuzz.com encourages you to work with your healthcare team to improve your treatment and increase your life expectancy as well as quality. 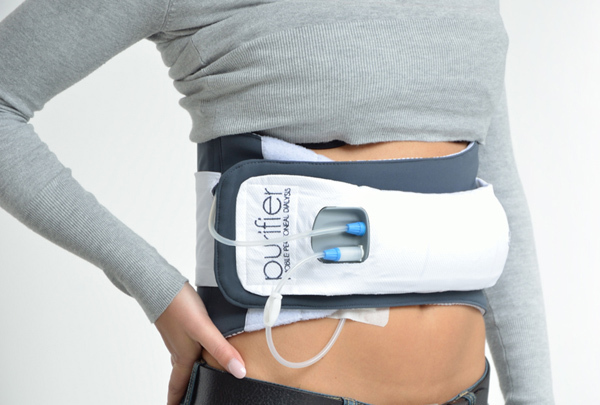 "Landmark Study Provides Key to Improved Survival in Peritoneal Dialysis Patients." ScienceDaily. "Improving Outcomes by Changing Hemodialysis Practice Patterns." PubMed.gov. US National Library of Medicine National Institutes of Health.